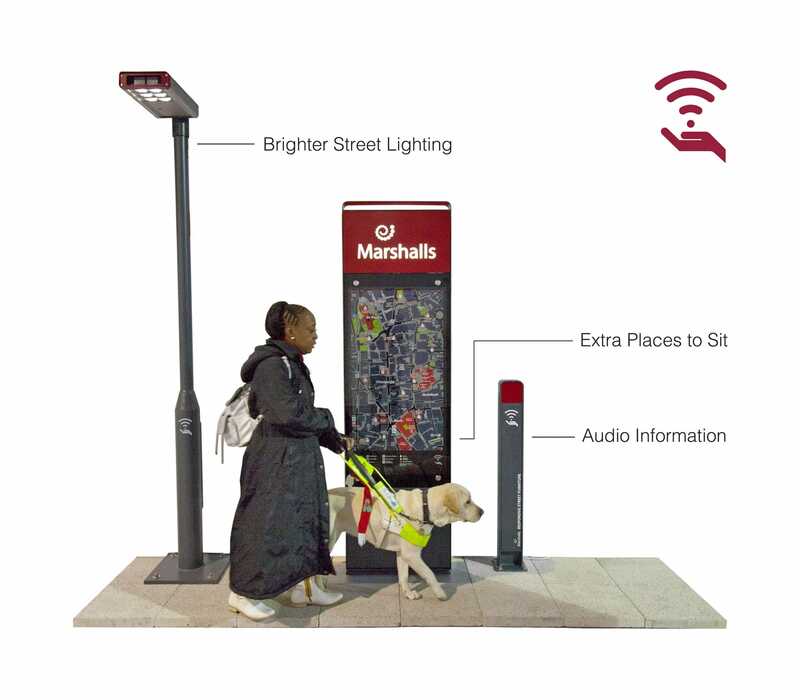 In partnership with landscaping manufacturer Marshalls, Atkin’s Responsive Street Furniture seeks to counter that. 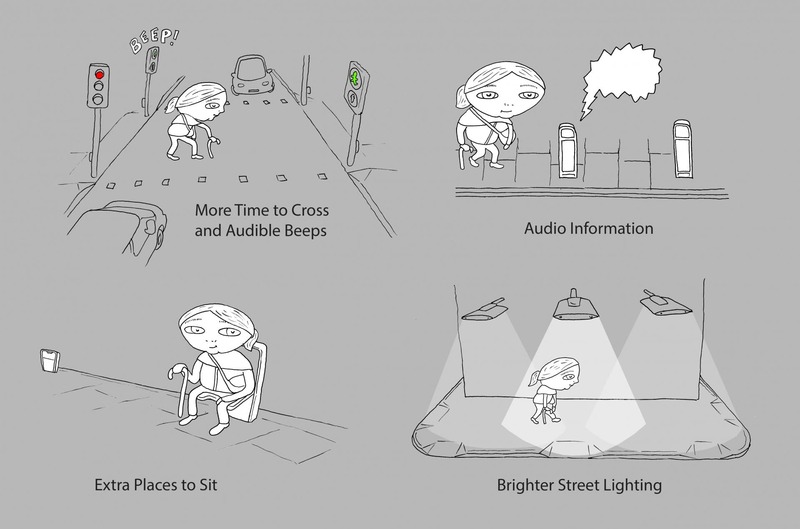 The furniture uses digital technology to change the streets to the needs of their users. 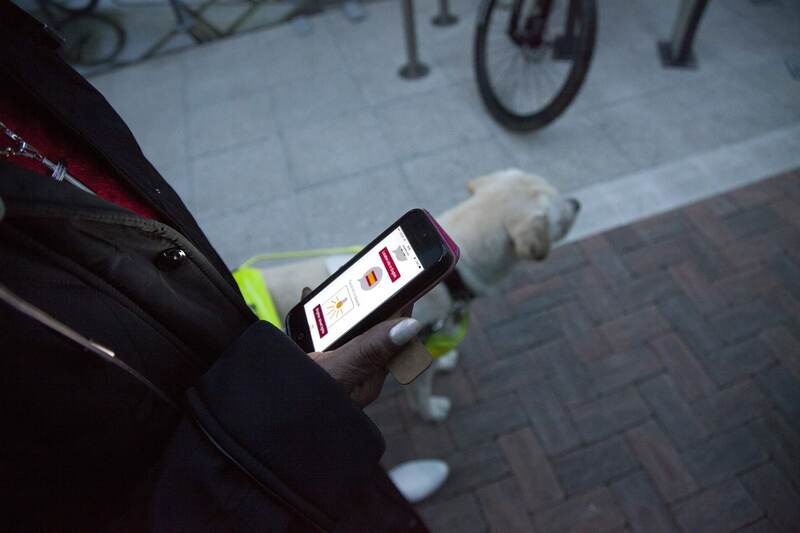 Someone who is less able to walk could automatically send a signal with their smartphone to a traffic light, and be given more time to cross the street. 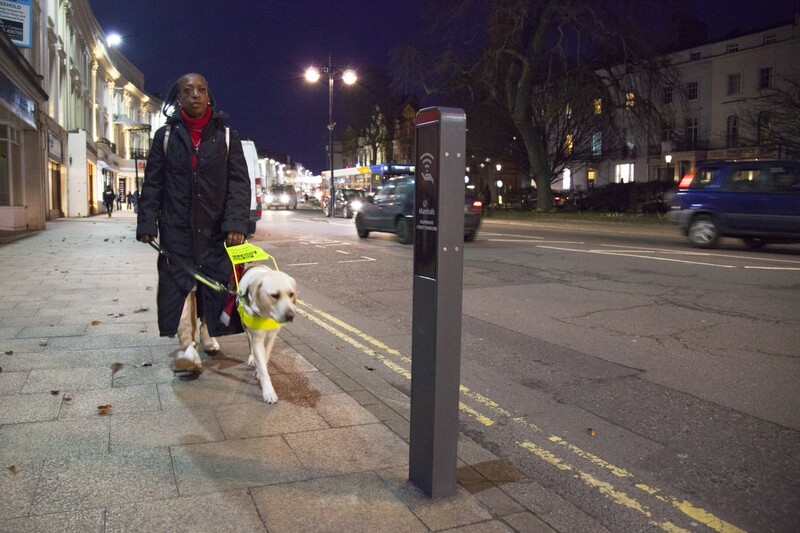 People with impaired vision can get brighter street lights. Key fobs could give access to audio information for tourists or the visually impaired. With Responsive Street Furniture, Atkin hopes to bring the principles of the iPad and the Internet of Things to the streets – moving from a cookie-cutter approach to a fully customised experience. Working prototypes of the system were used at the Design Museum in London as part of their Designs of the Year 2015 exhibition. Tags: Ageing, Apps, Architecture, Community, Data, Internet of Things, Mapping, Touchless technology, Transport.